Papaya is an amazingly delicious fruit referred to as ‘fruits of angels’. And let me tell you one more secret! When used on your face on a regular basis you might resemble an angle too. It is very easily available and affordable. You can grow it in your kitchen garden as well. Papaya’s nutritional benefits are really amazing. This fruit is packed with nutrients that are truly beneficial for health which possess digestive, nutritional and medicinal features with curing capability for many diseases. It features buttery flesh inside the peel and is pear shaped. It is produced in all seasons especially in summer. Papayas are eaten in yellow ripen state or green papaya is added in curries. It is a traditional herbal medicine. Papaya’s nutrition facts are beneficial against acne, pimples and other skin infections. It opens your pores of the skin. Papayas are mostly used in face packs. Fresh papayas possess dead cell dissolving ability that gives you a perfectly glowing skin. Papayas contain digestive enzymes that digest proteins by breaking the protein content. The enzyme that helps in digestion is mostly found in unripe state. It is full of digestive supplements and is also used in chewing gums. So next time your stomach is upset, cheer it up with a papaya. The usage of blended papaya leaves in Luke warm water increases appetite in your body. The nutritional benefits of papaya are more useful for women, as papaya leaves also works as a cure for menstrual pain. You can take papaya leaf, tamarind and salt along with water that is helpful in frequent pain in women menstruation cycle. An active enzyme fibrin is found in papaya which is also available in animal and human body. It helps in digestion and also prevents blood clots. It acts as healing reagent for external and internal wounds as well. It also prevents unnecessary blood clotting inside body. Papaya and its seeds possess anti-amoebic and anti-parasitic characters which controls the bowel movements. It cures diseases like indigestion, constipation, acid reflux, heart burn, irritable bowel syndrome, stomach ulcers and gastric problems also. Papaya’s nutritional benefits are very good for curing cancer as it contains Flavonoid contents which act as antioxidants for your body which include beta carotene, lutein, zeaxanthin, cryptoxanthin are essential for curing cancer diseases. 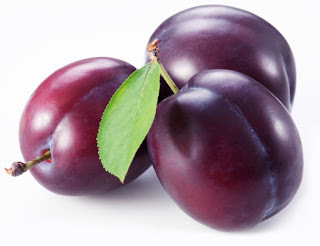 As we know fruits which contain carotenes protects from lung and oral cavity cancers. It controls the production of oxygen free radicals which cause harm to body and health. Potassium is also present in a large amount in fresh papayas which helps in regulation of cell body fluids. It controls flow of blood maintain the proper blood pressure. It regulates harmful sodium effects inside the body. So it protects you from heart diseases. This is why nutritional benefits of papaya do wonders for heart patients. Papayas are very low in calories with lot of vitamin contents, essential nutrients, minerals that is helpful in giving your body a perfect healthy diet. Papayas contains Vitamin C, E & A, folate, it also gives only 39 calories per a 100 gram. Presence of antioxidants burns your calorie down and extra fat deposits. So you can have a healthy breakfast with papaya. Papaya’s nutrition benefits are amazing, you can eat it as in salads, juice. The cocktails of papaya have lot of health benefits. Papayas cure many diseases, infections and maintain good health. Papaya seeds also show different health benefits. The seeds also kill ring worms inside your stomach. Papaya leaves cure fever, dengue, skin diseases and several other diseases. So it is one of the best fruit with lot of health benefits. 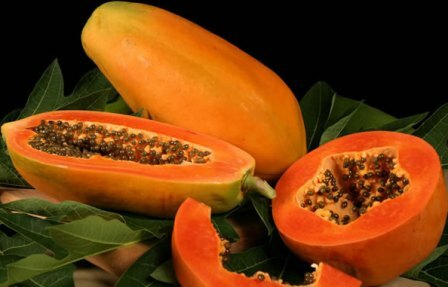 Q buena informacion acerca de los beneficios de papaya, hay que comerla todos los dias. Sooooo, why is this kept a secret? “When used on your face on a regular basis you might resemble an angle too.” Will I resemble an …angle or angel??? I’m glad to know that the article helped you. How is it used on the face? Is it by applying the fruit itself on your face or the leaf or the seeds?? Besides, are papaya seeds eatable??? The mashed flesh of the papaya can be directly applied on the skin. It can do wonders to the skin. Papaya seeds are generally not eaten, though it does have some medicinal properties (not for skin). this information has been very useful …. Is it good for piles problem. Yes, Papaya is great for piles patient. Include Papaya preferably in your breakfast meal. Can we eat papaya at night?? I heard it increases weight since it converts into sugar…apart from this, is it helpful in removing blemishes and acne? Papaya can be eaten at any time you want but when you eat fruits after your meal, they usually turn into sugar that gets stored in your body and can cause increase in putting on weight. So it is advised to eat papaya or any other fruit before or after 2-3 hours to your meal. And Yes, Papaya is helpful in reducing acne. Thank you for your advise on the suitable time of eating fruits. I really appreciate it. This is a wonderful site. Thank you.|As far as quinoa, it is important to note that it is NOT A GRAIN. It is in the same family as kale and spinach. I really love papaya i always take. Thanks for the info. Thanks for de vital infos on papya. I eat papaya almost every morning or night. I know it is expensive, but I love to eat papaya. And, I will tell you, after start eating papaya my skin problem turn to be less frequently. Dhiraj ka fal mitha hota hai . I know cancer is strong on both sides of my family. What percentage could eating papaya on a regular basis be? Researches show that Papaya leaf tea can cure cancer. Take 10 leaves, cut and boiling them in a 1/2 gallon water and boil it until only 1/4th water is left. Now let it cool. Keep this tea in a tightly packed glass jar and place it in refrigerator for 2 days. Drink this tea as much as you can. – I advice you to consult your doctor before you start taking Papaya Leaf tea. Talking about the issue of blood clot, can papaya help cure fibroid since it is an issue of blood clot and how. hw much good for us it is. Natural Fruits are good for health an way. I’m actually eating papaya right now and it’s very nice to know about this. I’m confused,how can papaya be good for weight loss when it also increases appetite? Thanks. My first time eating a papaya and I combined it with a fresh mango and raspberries to make a smoothie. Not only was it for stealing I was full of energy and end up changing my whole bedroo I was full of energy and end up changing my whole bedroom around think I'll make t think I'll make this part of my diet for the rest of the year. Dear admin, I I'm eating only papaya every night for lost fat. Pls help me, for this any froblem? Papaya seeds rock. My intestines are so much better now. This is a wonderful article. I have macular degeneration of the eye and I buy vitamins with the same vitamins in them that Papaya has. So from now on I will only eat papaya and get the same effect. Also I have heart burn all the time and digestive problems. Thanks so much for the information.